As the broodmare band expanded, the decision to make the farm a commercial enterprise gradually became a reality. Yarramalong does not provide outside agistment services and has operated solely for Richard Foster & Associates Pty Ltd. 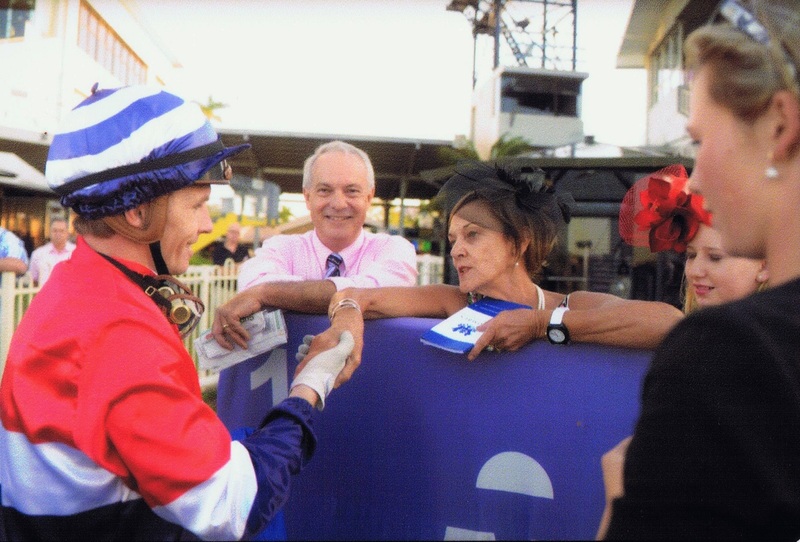 The quality of the broodmare band has risen with the judicious selection and purchase of new breeding stock from some of the best families and the retention of the best race fillies for breeding. The following table of performance results for Yarramalong Park bred horses excludes the 2012 and 2013 crops who have not yet had sufficient racing time to compare their results given that at 1 December 2015 they were 2 and 3 months in to their respective 2 and 3 year old careers. While these statistics are exceptional by industry standards, they demonstrate the results of the Yarramalong Park breeding program and model. The sires used for the 2014 and 2015 crops stood at significantly higher service fees and these crops included the progeny of recent higher quality young broodmare purchases and retiring race mares than the 2008 – 2011 crops. 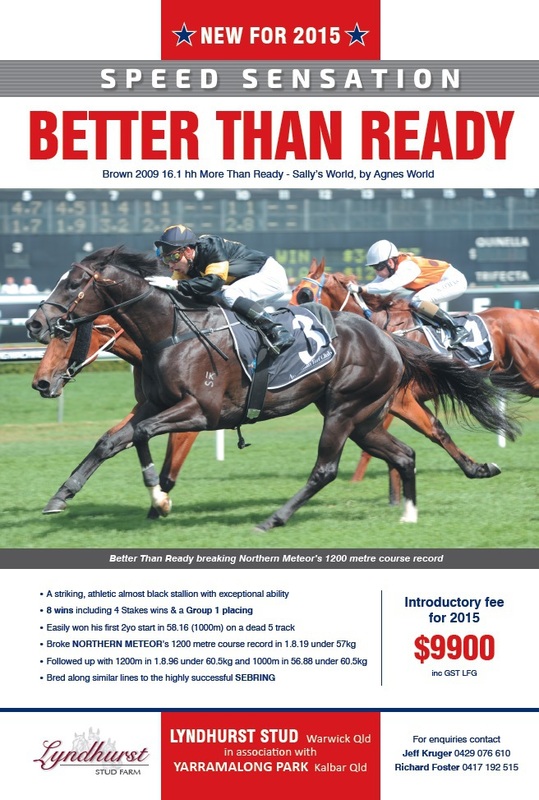 In 2015 Yarramalong syndicated the exciting stallion Better Than Ready, who stands at Lyndhurst Stud, Warwick. Better Than Ready has 34 Yarramalong mares due to foal in 2016 as well as 14 to top Hunter Valley stallions. 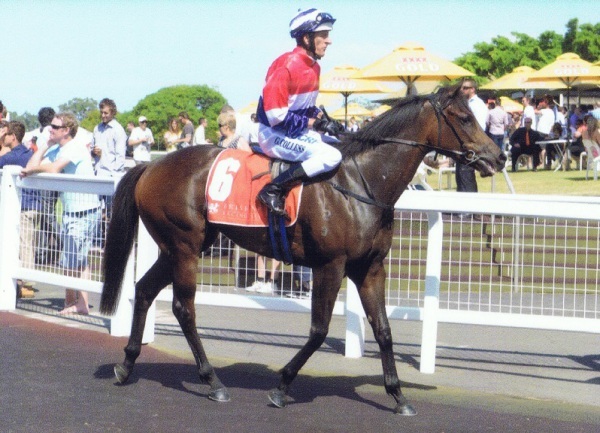 Yarramalong Park was originally purchased in 2005 to house the private breeding and racing stock owned by Richard Foster & Associates Pty Ltd. The property was selected because it has, a secure water supply flowing through it constantly from the upstream Moogerah Dam, high quality volcanic soils and hills, which are an ideal combination for the production of sound athletes. The property was a run-down ex dairy farm, which has been developed for horses from scratch.